Keep control of your daily routine. At Hudson Elms Skilled Nursing & Rehabilitation Center, you decide how your day flows. Your preferences are used to determine your care. It is our goal that your caregivers know your choices and what will work best for you. Our nursing staff is highly trained and dedicated to care for all of the healthcare of each resident. 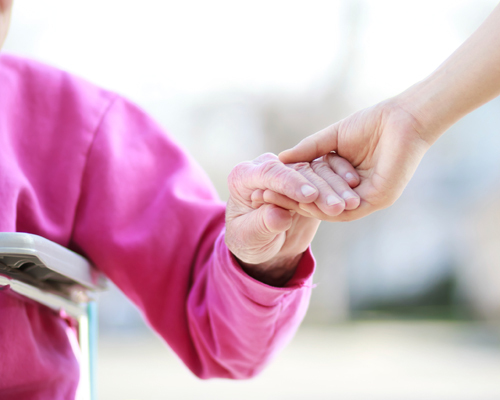 We offer 24-hour nursing care for both short-term rehabilitation guests and long-term care residents. Our staff works hard to ensure that each resident’s stay is as enjoyable as possible; offering a full schedule of social and recreational activities, home cooked meals, and a personal “home-like” environment. We strive to meet the specific challenges for each resident with an individualized plan of care. The plan ensures that each resident can reach their individual goals and attain their highest level of independence, in order to improve their quality of life. It is the mission of Hudson Elms Skilled Nursing & Rehabilitation Services to provide quality nursing and rehabilitation services to our patients in our facilities, and conduct our business in an ethical manner with clients and referral sources.